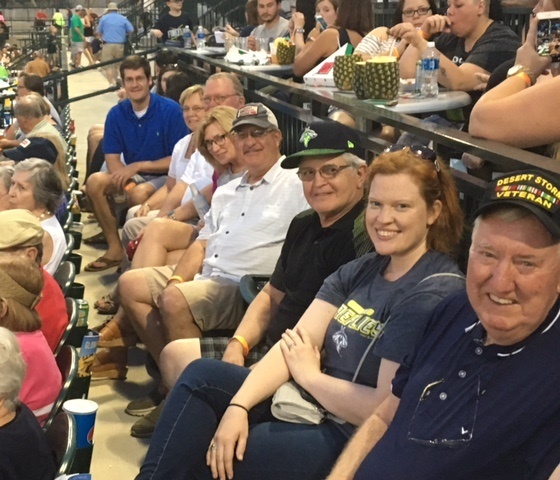 Capital Rotary Club members and their spouses enjoyed a spring social at Spirit Communications Park in mid-May. The occasion was a match-up between the Columbia Fireflies – a minor league baseball affiliate of the New York Mets – and their Pittsburgh Pirates-affiliated counterparts—the West Virginia Power. 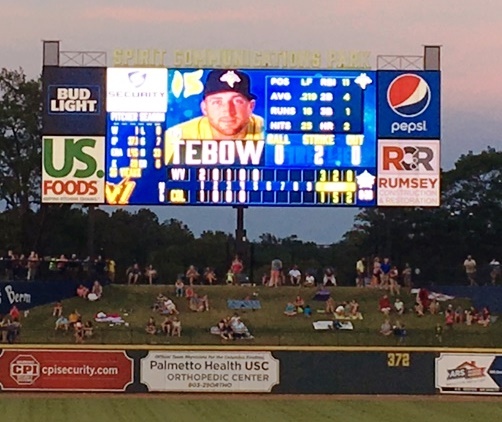 An added attraction was the presence of former college football star and ex-NFL quarterback Tim Tebow, currently on the Fireflies roster while pursuing a pro baseball career. The happy fans shown are (from front to back) Rotarians Bob Davis; Allison Atkins; Craig Lemrow; Chris Ray and his wife, Joie; Pete Pillow and his wife, Anne; and Blake DuBose, the Capital club’s president-elect.